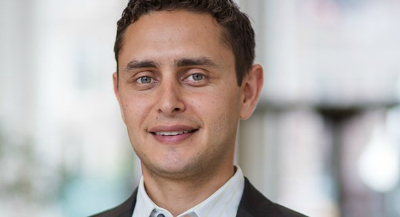 Mark Fathi Massoud, associate professor of politics and legal studies, has been elected to the board of trustees of the Law and Society Association (LSA), a global interdisciplinary academic organization devoted to investigating law's impacts on society. Founded in 1964, the association uses methods from the social sciences and humanities to analyze legal practice and "envision social justice;" its most recent annual meeting drew about 3,000 attendees. The next annual conference will be in Washington, DC, in May 2019. Massoud was elected to a three-year term, 2018-2021. Trustees are chosen from a slate of nominees generated by LSA members. The governance committee then puts names forward to the board of trustees, which further whittles down the list to 16 candidates, who are voted on by the full membership. The eight candidates receiving the most votes are elected to the board. Massoud, who was born in Sudan and raised in California, studies law in conflict settings, with a focus on Islamic law and society. He teaches courses in international law, human rights, and comparative law. In 2016, he received a Carnegie Fellowship to explore the interplay of human rights and religion in Islamic states after war. He is also a Guggenheim Fellow. In their election announcement to members, LSA President Kim Lane Scheppele and Executive Officer Steve Boutcher noted the diversity of the newly elected leaders, as well as the diversity of their scholarly interests: "We are thrilled that LSA has such a distinguished new set of leaders, and we are really proud of our members for electing such a wonderful and historic group." Massoud is the second board member from UC Santa Cruz, following Sociology Professor Hiroshi Fukurai, who was elected in 2010 and served until 2013.